It’s not boring running around a race track for 24-hours when you’re surrounded by friends and family, according to Ewan Horsburgh, who is a firm believer in team work to find success. 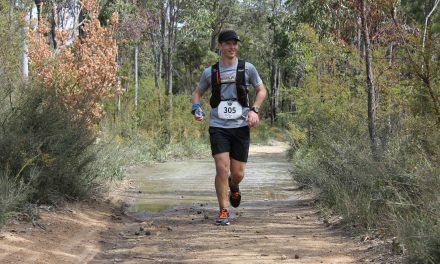 The 41-year-old from St Ives Chase, NSW started running fairly early in life, having discovered a passion for the sport while participating in little athletics, crossing country, and trail running with his dad. But it was the ‘bad crowd’ which had the most influence. “At school, I enjoyed cross country and ran middle distance athletics representing the school every year at the CAS,” he recaps. Horsburgh has since moved on to even longer distances, finding himself running and winning the 240kms Coast 2 Kosci three times in a row, and winning the Tahoe 200 Miler in its debut year back in 2014 where he finished in 61:32:00. He also has a fair bit of experience representing Australia at the 24-hour World Championships in Poland (2012), The Netherlands (2013), Italy (2015) and Ireland (2017). 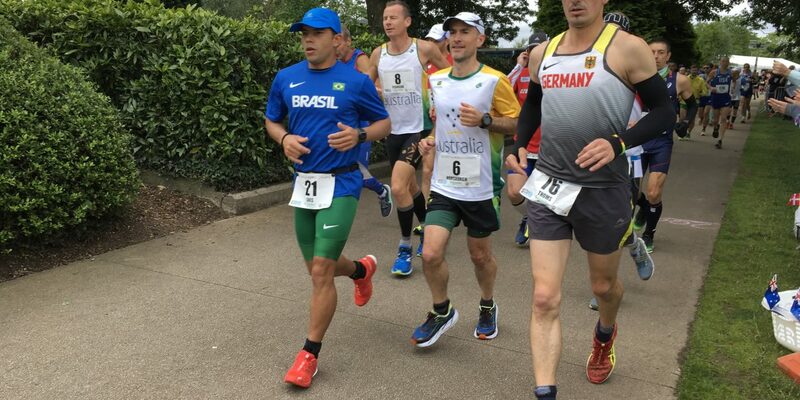 His qualifying race for the 2018 IAU 24hr Asia & Oceania Championships was the previous worlds in Belfast, Ireland, where he admits his race didn’t go to plan, but he set himself up well enough to run 242kms for 29th place and 1st Australian. When it comes the 24-hour timed event, Horsburgh’s though process is definitive. “Most people ask if it’s boring running loops for 24 hours, but I find it quite a social sport as you share the track with your team mates and other great runners from around the world,” he says. “Seeing as the tracks are certified, it’s great that you can compare your distance to other people and races around the globe, and even though you’re the one out there running, each performance is backed by a large team. “There are families and partners who patiently support their runner through big weeks of training and weekends of long runs. Leading up to a race is a lot of work done by the selection committees and team managers to make the teams and race day go smoothly. “Then on race day we have our crew feeding, hydrating, blister popping, layering, and motivating each other so we can run in circles. “The support we get from friends and AURA members back home motivates us to dig deep and keep moving kilometre by kilometre. The 24-hour races are less boring and more social than most people expect. Horsburgh’s training is generally quite low when he’s running on the local trails, and says it’s all about time on feet, but as his focus switches to an upcoming 24-hour format, his weeks on the road can hit up to 160kms. And getting that call again that he was on the Aussie team? “It was great news to get the selection call, and to also receive the honour of being the men’s captain this year,” he reveals. 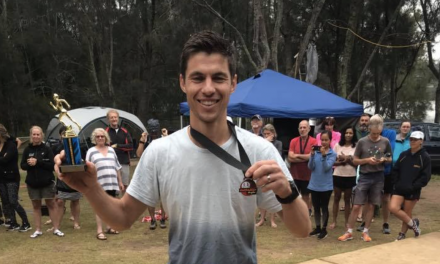 Horsburgh will be racing alongside his Australian team mates at the 2018 IAU 24hr Asia and Oceania Championships in Chinese Taipei the weekend of December 1-2. Pictured: Ewan Horsburgh racing. Photograph – Supplied.